According to Cointelegraph, UK-based exchange, eToro has announced that it has listed the TRON (TRX) protocol. The report came via a tweet by the firm on March 25. The announcement regarding eToro’s listing of TRON (TRX) comes following the launch of eToro’s trading services in the U.S earlier in March. The UK-based exchange announced that it has started offering crypto trading services in 32 states in the United States. The exchange listed 13 crypto assets for trading including leading digital currency Bitcoin (BTC). Ethereum (ETH), XRP, Litecoin (LTC), Stellar (XLM) and Bitcoin Cash (BCH) are also listed. TRON currently ranks 11 among the top cryptocurrencies according to its $1.55 billion market capitalization. CoinMarketCap shows TRX trading at $0.023 as of press time. The digital asset is down by 1.5% in the kast 24 hours. Although it has surged by 1.3% in the last seven days. 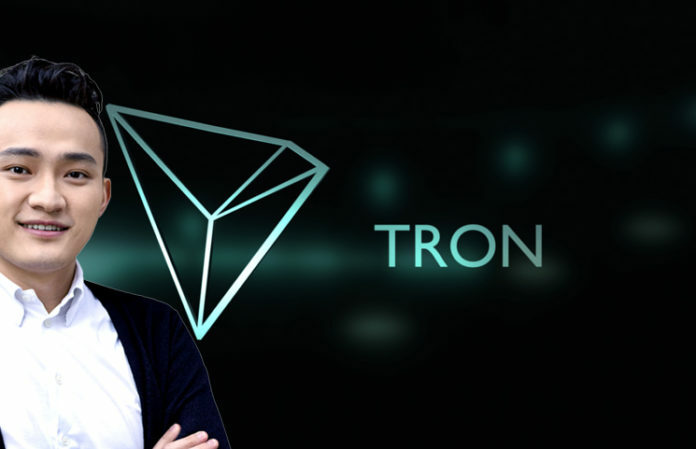 With Tron’s mainnet was launched in June of 2018, TRON (TRX) was seeking to offer a decentralized platform supported by the digital entertainment industry. It is focusing on the even distribution of rewards for content developers. As of March 4, TRON (TRX) also announced that it had gone into a partnership with Tether (USDT). The goal was to introduce a TRC20-based token by the Q2 of this year. eToro, which recently became the first crypto trading platform to offer the fiat trading of Binance Coin, has over 10 million users across the world. The Binance Coin (BNB) is an internal token launched and operated by Binance. Back in February, eToro opened a study claiming that up to half of the millennial traders trust U.S digital currency exchanges more. Japanese exchange Taotao will start trading in May of this year. The exchange will open trading with a limited range of cryptos. Taotao, is 40% owned by a Yahoo! Japan subsidiary, will trade Ethereum (ETH) and Bitcoin (BTC) with margin positions in three additional cryptos: Litecoin (LTC), Bitcoin Cash (BCH) and XRP. Prospects will be able to sign up and partake in a purely promotional giveaway scheme. The plans became public knowledge in March 2018, when Japan’s arm of Yahoo! Revealed that it would buy a major stake in Taotao through its subsidiary, YJFX. During that time, sources conversant with the matter insisted the purchase had cost Yahoo! 2 billion yen ($19 million). This initiative marks the internet giant’s first steps into the crypto exchange sector. Taotao has reportedly gained regulatory approval and given the green light to launch in Japan. According to an earlier report by Cointelegraph, the Japanese authorities have tried to impose stringent regulation or monitoring on entities looking to launch exchanges in the country. This move was set in full swing after several infamous hacks put a spotlight in country’s crypto industry. Coincheck is reported to be the victim of the largest hack. This occurred when tokens worth half a billion USD were stolen by hackers in January 2018. Coincheck has managed to enter the market once more following a buyout. Earlier in March, new regulations specifically relating to cryptocurrency margin trading gained approval. Ethereum Classic (ETC) & Stellar (XLM) strongly bullish – More gains in the horizon!